Rome, the "Eternal City" where you can just feel the romance and history, while wandering through its beautiful piazze or squares. Rome is the only city in the world, where modern, ancient and medieval seem to mix, seamlessly. It makes a beautiful setting for a wedding. Rome, the cradle of Roman Civilization, the home of the Vatican, the bustling modern city, where romance and history touch all who visit. 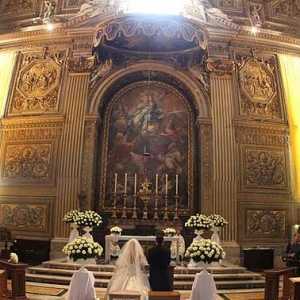 For a Catholic, celebrating a wedding within St. Peter's Basilica has a profoundly spiritual meaning. 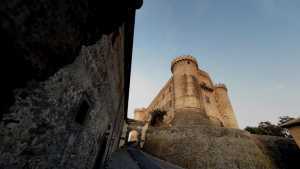 Regency can arrange spectacular weddings with civil validity at all the amazing castles of Rome. A 50's inspired wedding for this British sweet couple who chose a unique location for their ceremony. Getting married on a rooftop of Rome will offer you a true Roman experience. A Rome May wedding on top of the Spanish steps at one of the highest rooftops of Rome. 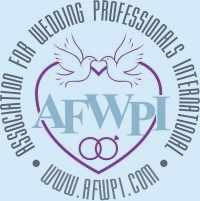 We can arrange your legal, Protestant or non-denominational wedding in elegant and romantic venues and churches in Rome: one ceremony, recognized both legally and religiously, by law in your Country. Garden-terrace legal ceremonies with a breathtaking view of the Coliseum, the Roman Forum or St. Peter's. Weddings in ancient aristocratic palaces, villas, castles will bring you in a timeless atmosphere. Choose to have a religious ceremony in one of the most famous churches in Italy... a religious and/or civil wedding on a garden terrace overlooking the city or in an historical villa in the hills of Rome... a civil wedding in the ancient Terme or baths of Caracalla. 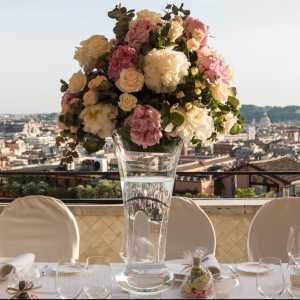 We are arranging weddings in Rome since 1987 and we can design and coordinate your perfect wedding. 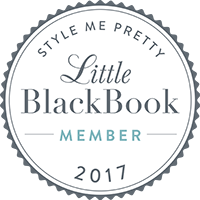 Our wedding planners are based in Rome.  We have worked with almost all the vendors in Rome and in these past 25 years we have selected the best and those vendors with the highest quality and value for your money. We design and plan tailor made events here in Rome to reflect your individual wishes. Rome's wealth of architectural and artistic treasures makes it a truly unforgettable experience. Don't miss the Coliseum, the Forum & Palatine Hill, St Peter's Basilica and the Via Veneto. Follow in the footsteps of Frank Sinatra, Dean Martin, Marilyn Monroe and Audrey Hepburn down what was once the epicenter of Rome's dolce vita era. Then, the city's 20th century aristocracy invited the celebrities to help them squeeze the last drops of unfettered decadence out of a vanishing lifestyle. The cafes, bars and hotels are still breathtaking and elegant. Aside from its amazing monuments - the Coliseum, the Roman Forum, the Vatican, the Catacombs - and stately piazzas, the city has a surprising number of hidden corners and quiet neighborhoods with romantic spots for honeymooners. Rome remains a complex and multilayered city; it is both the capital of Italy and the Catholic Church, in the form of the Vatican State. The religious set-pieces, such as the Vatican, remain the greatest crowd-pleasers, as well as the ancient Republican sites, beginning with the Coliseum. Culturally, the city is second to none, with new attractions blending in with revamped archeological sites and parks. In the summer, most Romans head for the hill towns of the Castelli Romani, noted for their villas, gardens and inns.The dolce vita lifestyle still lingers on in these fabled wine-growing hills south of Rome. An ancient villa or garden of the Castelli Romani can be a magical setting for your Rome wedding. 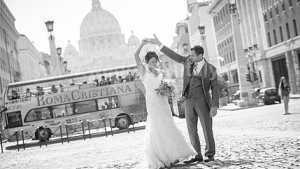 We have organized and coordinated more than 1500 weddings in Rome; for this reason we can show you hundreds of romantic, intimate and charming venues and churches. We can also arrange a legal ceremony in the venue you choose or reserve by yourself. Here you can look at some of recent weddings we designed and coordinated in Rome. 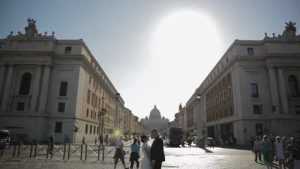 We arrange Weddings in Rome. We can arrange your ceremony in a private location in Rome and the ceremony will have legal validity. If you want to book and save the date as soon as possible, We introduce to you an interesting opportunity, it is a wedding ceremony performed in English by an English Speaking Minister (so there's no need of a translator) that can take place in a private location, such as a nice terrace overlooking Rome, a private garden, in an elegant hotel in Rome... The main reason we are explaining this possibility to you is that couples sometimes need to to choose and set the date for their wedding in advance, for many reasons (flight tickets etc...), then we guess you would like to be able to choose the time for the ceremony and often the town hall has many requests so it's not always easy to find availability on the date / at the time you would prefer...(May and June are peak season for weddings in Italy). Please note that this is a true wedding, legally recognized in your country and not a simple blessing or a symbolic ceremony. In fact we are the only wedding coordinators in Italy who are able to arrange wedding ceremonies with instant legal validity in a private venue (hotel, villa, garden...). The wedding is celebrated by an English speaking minister and you can choose the time and length of the ceremony, the music you prefer, you can add your vows; then after the ceremony you can have a cocktail or a dinner in the same place as well as stay there for the night. Again, this is a true wedding, legally recognized in your country and not a symbolic or blessing ceremony.